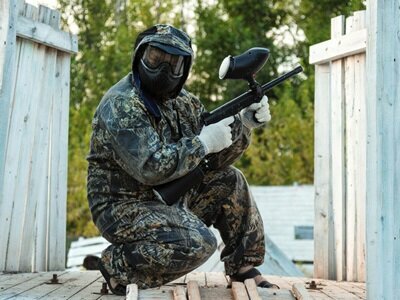 Here we have a high-quality paintball marker that has an extremely appealing price-tag considering all the fantastic qualities that it includes. It’s much like other top of the range guns, such as the Etek, Geo and FX to name few. However, the Axe is still more effective than these paintball markers in numerous ways. This unit is actually a new generation marker that includes a new stylish design as well as a lengthy grip that will enable you to shoot conveniently from various locations for hours and hours. With just a push of a button you will be able to remove major parts of the marker so you can easily clean and maintain it. If you want to remove the tank, it comes with an on and off switch to ease up the removal process. This gun also contains multiple firing modes that you can choose from, such as Semi-Automatic, Millennium-Ramping, NXL and PSP-Ramping. On top of that, the marker is always well closed-in to protect it from extreme weather conditions. You should be able to depend on this gun in weather conditions without affecting its functions. Let’s dig deeper into the specifics of the Empire Axe marker and see what we can reveal. This new model provides the same feeling and shooting as the previous models of the Axe. However, the performance and operation is significantly better and more quiet. The superior grip-frame along with the trigger frame has truly perfected the ergonomics of this paintball model. It is extremely lightweight and if you hold the gun for very long period of time, it won’t cause fatigue to your shoulders or arms, hence, allowing for an easy pivoting at all times. You can basically run, jump, crawl and roll easily with this gun because of its compact size. To determine the overall performance of this marker, we need to look deeper into its shooting efficiency. Basically, the Axe shoots balls very easily and is extremely accurate. Shooting is very smooth and there are no delays in the firing sequence. 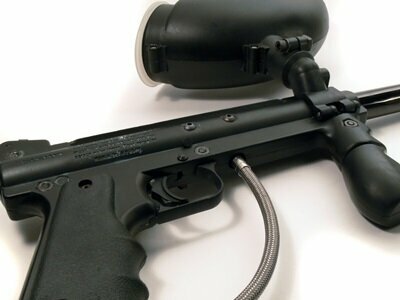 The operating pressure of this paintball gun is ultra-low and contains unique Anti-Chop style eyes, primarily designed to strengthen players to fire-up delicate paint. Some users have claimed to have gone through 5000 paintballs with this unit without bursting a bullet. You can choose from several different shooting modes like PSP Ramping, Semi and Millennium-Ramping. These are more than enough shooting-modes for most players as most paintball fields will only allow Semi-Auto mode. When it’s about consistency and reliability, this marker contains +-3 to +-5 on the chrono. This makes the Axe extremely consistent and you can rest assured that your marker will perform at top-level on the field. Every detail has been taken care of to maximize the performance of this marker, even the trigger is more effective than various other paintball guns. You are able to adjust the trigger to 4 different positions. You can fire-off at faster speed rates consistently without any delays if you. To enhance the performance even more, the Empire made sure that there would sufficient room between the foreGrip and trigger guard to make the shooting process dead easy. Altogether, the Axe will perform and function at an advanced level regularly, making this marker truly a reliable paintball gun. 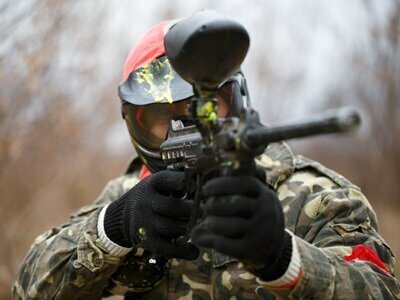 The Axe boasts a sleek and nice surface texture that truly confirms that you are holding a top-quality paintball gun. 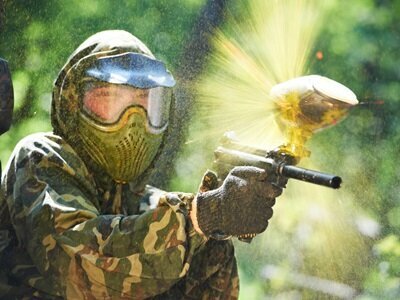 Many of you guys claim that look is nothing when comes to game-play but the reality is that there are so many paintballers that really dive in the world of paintball and take the extra step to make the game look as real as possible. The Axe offers a high quality and stylish look within a reasonable price range. The frame is extremely well designed in order to make certain that the paint-baller will always have the best grip. 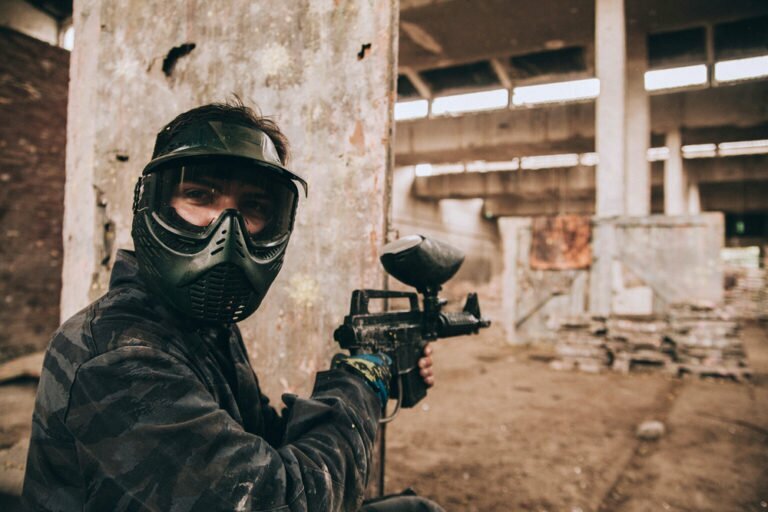 There are so many paintball markers that are designed with flat grips that will lower the production cost but quality comes with a price and you should not sacrifice more economical grip for a reliable one. There is no hose in the Axe and that means you don’t have to deal with a non-function hose issue. You will never have to worry about any leak or broken hose when you are handling the Axe marker. Your opponents will probably waste both energy and time thinking about when their marker will stop working because of a leak but you can rely on your Axe at all times. The cleaning and maintenance process is a simple step with the bolt removal system. There were some issues with the bolt-removal system in previous models of Axe because you had to twist the knob and push a button at the same time. However, with the new bolt-removal system, all you have to do is to push the button. You will have easy access to the eye with the new true detents that replaced the spring detents that were used in previous models. Using the so called Relay ASA, you are able to utilize a lever to set off airflow to remove the bottle in fast and efficient way. You will also get all the tools you need to easy up the maintenance process. With the small tool kit, you will be provided with screws, extra detents, O-rings and more useful parts to maintain the marker. You will greatly appreciate the additional screws because you will end up destroying the screws with time. Overall, the maintenance is now a super simple process. You can easily re-assemble the marker without trouble, thanks to the straightforward design. Once you get on the field, you will see for yourself how accurate and consistent this marker is. The long distance accuracy is even impressive. 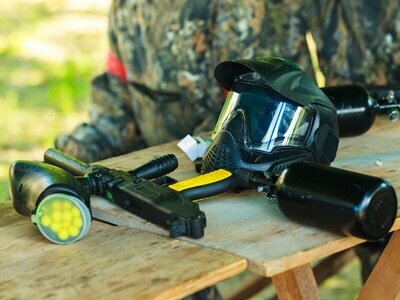 To sum it up, this paintball gun is extremely comfortable marker to operate and you can be sure that it will fire up with ease, accuracy and speed. It’s extremely quiet, even though it fires rapidly and there are no mechanical hassles to deal with along as you maintain the marker properly. Make sure that the O-rings are always well lubed to boost its durability and functionality. 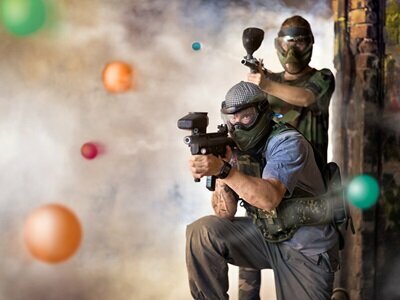 If you are a newbie or even seasoned paintball player, this paintball gun will impress you and it will make your overall paintball experience a joyful ride. Having said that, if you are looking for a new gun or even if you want to upgrade, have a look at the Empire Axe marker.